Dry Fire. It is both proven to work and often misunderstood. It applies to competition and to concealed carry skills. Many swear by it and some (foolishly) scoff at it. Many times we hear people mention dry fire without actually explaining what it means so let’s get on the same page with regards to what dry fire is and isn’t. Simply put, anything you can do to practice with your firearm that doesn’t require live ammo can be performed in dry fire. Dry fire is NOT aiming at the TV and pulling the trigger. It is not lying in your bed and aiming at the ceiling. You can use dry fire to improve your trigger with the proper regime. Check out the White Wall Drill for more information. 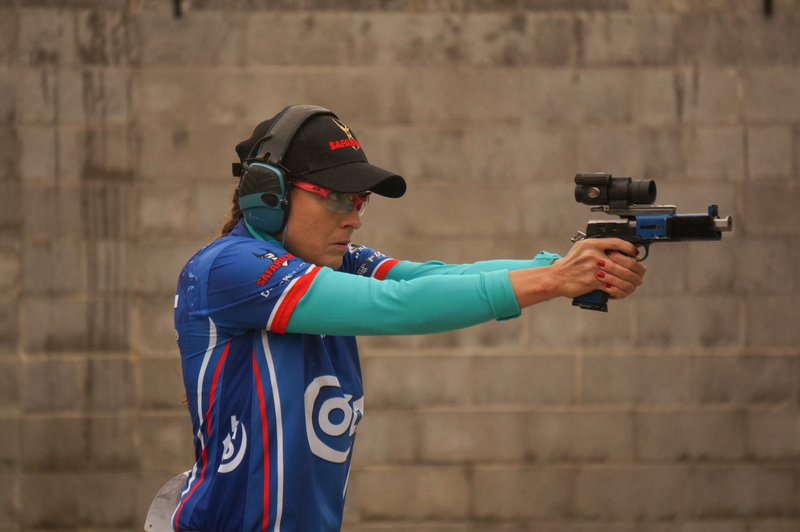 Want to get your draws smoother – practice in dry fire. Want to speed up your reloads – practice in dry fire. Want to improve transitions – practice in dry fire. Want to improve recoil control – LIVE FIRE, NOT DRY FIRE! Dry fire allows us to work on a great many skills without expending any ammo or driving to the range. However, dry fire is not a replacement for live fire. I dry fire roughly 4 times a week for 30-40 minutes per session. Some will see that as a lot and some will see that as too little. 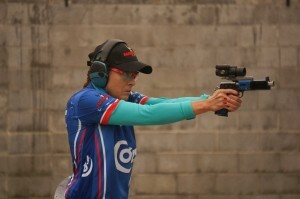 In all honesty, I should be dry firing more to achieve my personal goals in competition. Although with those dry fire sessions, I try to get in one live fire session a week. This isn’t always possible but it is important. It keeps your dry fire honest. It is really easy to fall into the trap of dry firing exclusively and becoming a dry fire hero. In all likelihood, you go to the range and realize the skills are not as polished as you thought. You might have a sub 1.0 second draw time in dry fire but if you have never got up on the 3 yard line and actually practiced it with live ammo and a timer, you don’t really know. Likely, you won’t be as fast; your conscious mind (see, there it is again) will take too long getting the perfect sight picture vs an acceptable sight picture. It is easy to dry fire your way to speed, but you must still look for every weakness in live fire and find a way to execute it better. If not, you will be quick in your dry fire dojo but in live fire and/or a match, you will be stuck at your current level. Don’t mistake this to mean dry fire isn’t important; because it is. Dry fire without live fire confirmation, in the form of mini-drills against a timer, will not take you to the level you desire. Are you a competitive student that looks for ways to improve using both dry fire and live fire or are you a dry fire hero; burning down drill after drill in your basement but never verifying a thing at the range? Are you overlooking some easy improvement in the name of a quick dry fire par time? I think you mean “conscious” mind. 40 minutes, 4 times a week with live fire once a week? How’s life in M class? M, you’d think; but, I switched guns TWICE in the last year. I shot 2015 without actually being a member of USPSA, so I don’t have a classification, but I should fall into high B or low A based on finishes and percentages. It would likely be higher if I stuck with one gun, which I will going forward. Shout out to, “What’s The Biggest Thing You’ve Learned in the Last 6 Months”. Sounds like you’re uniquely appointed to write a post about how any time you switch gear, the next X days/weeks/months* will be spent not progressing your skills but simply acclimating to new gear. A new set of sights might be days, a new holster might be weeks, and a new gun might be months. Thusly do so many shooters in the sport feel like they are constantly making progress as they switch new gear, but all they are doing is running on a treadmill to catch up to where their skill was with their old gear. At least that’s what I tell myself. GM in 2016 with a plastic gun or bust! *Of course, measuring progress in time units assumes constant practice. Obviously something that takes a month at 2 practice sessions/week (i.e. 8 practice sessions total) would only take a little over a week of daily practice. As you said in your blog and as Anderson has always stated (I paraphrase), you will never be as fast at the range as you are in your basement. But hey, it is a place to start and it is a place to get better. This is the beauty of proper dry-fire practice. It works! Live fire practice is just as important to know where one truly is. I look forward to more blog posts. That depends on what type of dry fire you are doing. I start with simple drills and then “shoot” mini stages and movement drills. It goes fast. But yes, just doing 40 minutes of draws or trigger presses would make me cry. You can make any magazine in to a training magazine. As a regular practice, 40 minutes of one-shot dry fire draws sounds unproductive, but I feel like doing it once as a challenge would probably be informative. I honestly can’t find more than 15-20 minutes max to focus on dry fire because I get SOOOOO BOOORRREED KILL ME NOW. Once on PPS, Candice mentioned she dry fires for 4 hours! I am pretty sure that would make me bleed from my eyes.